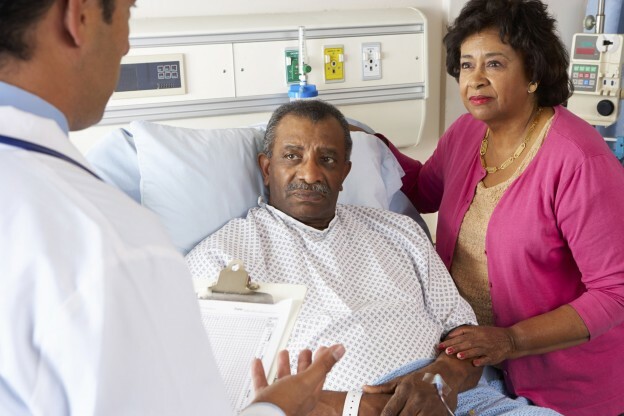 Physicians recommend hospice care for patients who have reached the extreme end of their diseases – cancer, heart disease, a lung disorder or any other terminal condition. According to Medicare guidelines, hospice care is available to a patient with a life expectancy of six months or less, as agreed upon by two physicians. Of course, no one really knows how long a person has to live, said Marsick. So a referral to hospice isn’t an indication of how much time a person has left as much as it is an acknowledgement that the treatment to prolong his life is no longer working. Hospice care does not cure the patient’s condition or even to prolong life, Marsick said. The aim, instead, is to make the time the patient has left as comfortable and pleasurable as possible. That often involves managing the patient’s pain level, but it also can mean prescribing medications for anxiety, addressing breathing problems or providing therapeutic massage for pain control, symptom reduction and general relaxation. VNA of Ohio Hospice homecare professionals help their patients identify goals, and then they do what they can to help them achieve those goals. If, for example, a patient wants to attend a family reunion, VNA of Ohio Hospice team might work on getting her nausea under control and make arrangements for her to travel more comfortably. A patient struggling to stay awake during visits with his family might change to a medication where he can stay alert during the day. She said the decision to choose hospice isn’t always easy. Patients sometimes cannot face their prognosis and want to continue fighting. Other patients tire from a treatment they wish to stop, but the family can’t accept this decision. Some physicians themselves are reluctant to stop treatment, particularly if the patient decides to stop mid-course. Sometimes, primary care doctors may realize their patients don’t have long, but they don’t want to have the tough conversations. For all of these reasons, patients are denied the most valuable benefits of hospice care, Marsick said. That’s why it’s important that patients be educated about hospice and that they indicate their wishes before they have to make the decision. VNA of Ohio’s special care nurses can work with physicians to help facilitate that conversation. Learn more about VNA of Ohio hospice services or call us today at 1-877-698-6264.